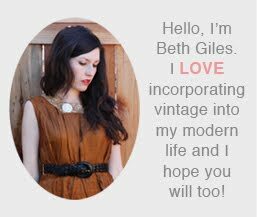 Vintage Clothing Blog | Vintage Wedding Dresses | Salvage Life: Girls Who INSPIRE Me! Last night I managed to make it to the Creative Inc. book signing party after heating up some leftovers, putting Ruby to bed at my sister-in-law's house, and scrambling to get ready. 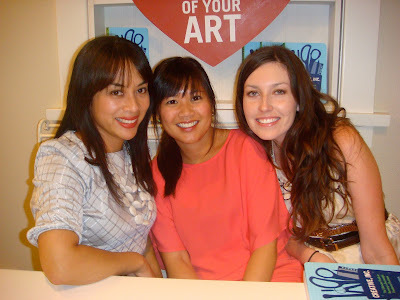 I was so excited to meet Joy and Meg, they are big time heroes of mine! Sadly, my eyes are looking a little droopy here, but I don't care because it was just so fantastic to be photographed with them. When you are struggling to make it through the day juggling motherhood and a business, it is so helpful to have people that you look up to that inspire you to keep working at it, Joy and Meg are several of those people. I have been following Joy's blog since I started Salvage Life and Meg's Craft Inc. book was the first book I bought to help give me direction when I set up my shop. Since I forgot my camera (and business cards!) I only got this one photo, but I'm including a couple photos of Ruby I took for fun yesterday because she's another inspiration of mine. oh my goodness, ruby is adorable! i love her hair! that's so awesome that you got to meet them!